Influence. It’s a funny thing. It’s inescapable–someone will always be perceived to have it or not have it, to either use or misuse it. We complain about it, but we also want to be influenced. Very few people are thorough-going “Lone Rangers” about anything. We see the utility of influence. We want someone to point us on a good course, to help us over a hurdle, and to set a model for us. Influence is how you get some things done or prevent others. Who doesn’t want influence on certain policy issues or certain church initiatives or with our children and spouses? We live in a world where influence is traded, debated, manipulated, and fabricated. Some people look influential but they aren’t. Some people look insignificant but wield influence like a sword. Some name drop and talk about how much “pull” they have. Others need only raise an eyebrow and real actions follow. Some people want influence badly while others run from it. So goes influence. It, like money, makes itself wings and flies away. Which is why you shouldn’t really listen to me. I’m nobody. “Thabiti Anyabwile” is not a Swahili name for “E. F. Hutton.” Don’t stop what you were doing. Don’t tune in to a post because I mention it in a twitter feed. Don’t begin to think my opinion about anything matters much at all, certainly not to the extent that you need to hold that view simply because somebody said I once said it. I ain’t nobody. Now, some of you think you knew that already. That’s good; keep it that way please. But I suspect that some others have mentioned my name in this or that conversation, favorably or unfavorably, and imagined that I had some influence they should either accept or counter. Some have decided they either like or dislike me because I’m associated with this or that person, because I get to preach at conferences, because I’m a member of The Gospel Coalition (TGC), because I blog at TGC, because I hold a particular theology, and because they think such “platforms” give me influence. Here’s the thing about influence: It mostly lies in the subjective impression of the person being or resisting influence. 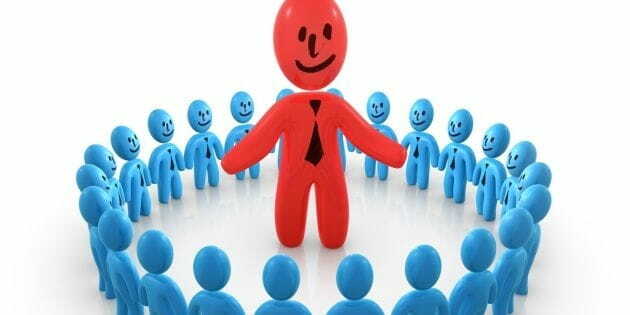 We see someone prominent, standing out, and we assign to them the magical quality of influence. But influence is not often real, objective, measurable. It depends on the person wanting influence convincing others to see them as influential. Don’t get me wrong; some few people really do have power and authority to make some things happen. But the rest of us have some level of “clout” assigned to us by those watching us and trying to make sense of whether we exist for some positive or negative good in the world. I don’t want “clout.” I have no power. Ideas have power. People… not so much. That’s why you shouldn’t listen to me, as though some authority or influence resided inme. I don’t want the kind of influence that rests upon personality, “platforms,” networks, and least of all “appearance” or “image.” If you find yourself on the opposing end of an argument or an idea, let’s stay focused on the argument or idea. I don’t want to be your enemy and I hope not to treat you like one. If you find yourself moved by an idea, by an argument, by some principled application, then know that you’ve been influenced by an idea. If you got it from me, that’s incidental. Everything I have I first received. Central is the grace of God and the truth of God. So, don’t listen to me. Chances are you don’t even know me. I’m not likely related to you. I’m probably not your pastor. I don’t have any control over the events in your life. I certainly have no part in the incommunicable attributes of God like omniscience. Everything I’ve ever said, done, or written is only partially true, corrupted by my faults, limitations, and sin, and likely in need of a good dose of correction or balance. In fact, I’d be grateful to anyone who cares enough either about ideas or me to add a gracious word of correction to any ideas I’ve expressed. I don’t take it as an attack, but as an act of courage and duty borne by responsible men and women. Why this post? It’s not a direct response to anyone or any controversy. I even chose a random date for it to post. No, it’s because I need the reminder of this post. I’m vulnerable to the tempting siren of “influence,” to trying to cultivate a persuasive power that inheres not so much in the truth of ideas but in the power of personality or “appearance.” What a horrible insatiable monster that kind of pride and self-seeking is. How vain to monitor twitter followers, web statistics, and anything else that suggests “influence.” And what ruthless task masters are the expectations of others who think you have influence and want to borrow some or sway your use of it. It’s a trap, I’m telling you! Far better to recognize Jesus Christ is the only compelling power and influence in the world, in whose hands the hearts of kings are turned, by whose word the universe stands, and before whose throne every knee will bow and confess. Influence? Only if it makes Jesus known and brings men under his light and easy yoke of love. Everything else is a mist that’ll soon evaporate in the radiance of His glorious rule!